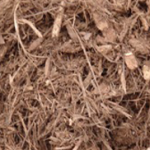 With a great deep brown color and the benefits of better soil after use shredded pine bark mulch is a great choice for your garden beds. Not meant for deep slopes. This mulch has a rich color and breaks down into a beneficial material in the soil after it wears down. Order some today at the phone number above, and subscribe to our money saving newsletter full of great landscape ideas for your home.